Archery is the skill governing the use of bows and crossbowsDG. Each skill point grants a +0.5% bonus to the damage dealt with bows and crossbows. The Archery tree has a total of 9 perks, requiring 16 perk points to fill. † The paralysis lasts 10 seconds. This effect is affected by any Alteration modifiers, such as the Stability perk. 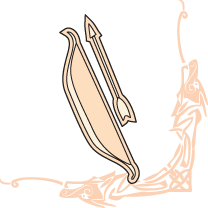 Arrow damage is the sum total of the quality and material of the bow and the arrow being used, as well as the bow's draw length. A bow will not deal its normal maximum amount of damage until finished being fully drawn. Arrows that are misfired accidentally before firing the bow result in a damage penalty. Drawn bows can be cancelled by pressing the 'Sheath Weapon' button. The trajectory and speed of arrows are independent of a character's skill level in Archery; only damage increases with skill level. When shooting an arrow, you will discover that arrows have significant 'loft', or upwards movement, particularly at medium ranges (See Notes). To compensate, you should aim just below the intended target in order to hit it. If the target is moving, aim where they are going to be, as the arrow is a rather slow projectile. Note that the Steady Hand perk affects neither the speed of the arrow, nor the enemy, so lead your target the same as if time was not slowed. If the target is farther away, then aim slightly above it, as gravity has an influence on trajectory. Note that the Eagle Eye perk does in fact decrease the influence of gravity, so do not aim as high as you would if you were not zooming in. Since there is no hit location recognition in Skyrim, trying to achieve headshots will not cause increased damage, but rather may cause your shot to miss if you do not properly account for the arrow's trajectory. Most bows and crossbows can be upgraded at a grindstone based on perks invested in Smithing. Arrows and bolts can also be crafted if you have the Dawnguard add-on. You should always be on the lookout for better arrows whenever possible, as the damage difference between iron and Daedric arrows is significantly larger than between any other iron and Daedric weapon. There are places where NPCs can sometimes be found taking target practice, and their arrows and bolts may be retrieved from the target dummy; for example in Dragonsreach, Great Porch, in the courtyard of Castle Dour or in the cistern area of The Ragged Flagon. Arrows and bolts shot by you that hit your opponent can sometimes be recovered from their corpse; the Hunter's Discipline perk increases this chance of recovery. Enemy missiles that strike you may also be added to your inventory. If an arrow or bolt fired by you or an enemy misses its intended target, it can almost always be recovered from the ground or a nearby object, if you can find it. Note that missiles that strike non-flesh enemies, such as skeletons and mudcrabs, will often bounce back toward you. Enemies that break apart upon death (such as skeletons) will drop all the arrows you have shot them with when they die. With the perk Eagle Eye, you can press the Block control to zoom in on your target. However, doing so slowly drains your Stamina, and cannot be maintained indefinitely. With the Steady Hand perk, using Eagle Eye also slows time by a 25% (50% with the second rank), making everything appear to move in slow-motion. This effect allows you more time to think through and set up the shot. Although the action of drawing the bow will occur in slow-motion if you have not nocked the arrow before pressing the Block control, there is an exploit around this that can significantly increase DPS (See Bugs). Note that you cannot zoom in while under the effect of the Slow Time dragon shout, regardless of whether you have perks in Steady Hand or not. Release the arrow and rest. The nock stage appears to take about 0.4 seconds and the rest stage about 0.6 seconds regardless of bow or perks. The time required for a full draw depends on the bow, however; heavier bows tend to take longer to draw. Bows made of better material tend to draw more slowly, but you can always choose to draw partially for heavier bows. Better material bows always have higher damage per second than lesser material bows, but weaker bows can stagger opponents more frequently, because it takes less time to fully draw them. Below is a chart displaying the damage per second of the base bows in the game. It is worthwhile to note that while the (Supple) Ancient Nord bow has the second highest DPS in the list, it can't be tempered, so it lags behind other bows as your Smithing skill improves. Bows with higher DPS fare better in close quarter scenarios. However, DPS is irrelevant when sneaking, as only base damage matters. Note that a Bound Bow with the Mystic Binding perk achieves a DPS of 21, significantly better than any other bow in the game. Also, with the Dawnguard add-on installed, two unique bows are added: Zephyr, with a DPS of 11.7, and Auriel's Bow, which shoots at the same speed and has a higher base damage. Note that the base damage and DPS does not include any damage added from arrows, or power attacks (fully drawn bow), or from enchantments that might exist on enchanted bows. Range and Trajectory are also affected by bow speed. On a full draw, slower bows will shoot arrows higher and with less drop, while faster bows will shoot arrows lower with more drop. This means that at short ranges, arrows shot from faster bows will be more accurate to the crosshairs, while slower bows will shoot high. At long ranges, arrows shot from faster bows will drop considerably, requiring you to aim higher to compensate, while slower bows will hit the target much closer to the crosshairs--though you may still need to compensate for drop depending on the range. Also, slower bows have a flatter ballistic trajectory, which means they will travel further than arrows shot from a faster bow. This effect comes solely from weapon speed--other factors such as weight and damage do not play a role. You can see a comparison of the weapon speeds of many bows at Bows. Of further note, the perk Quick Shot has no effect on range and trajectory. +1 Archery (and other combat skills) from Giraud Gemane (Bards College) for completing the quest Rjorn's Drum. +1 Archery (and Block, Heavy Armor, and One-handed) from Wulf Wild-BloodDB for finding his brother during Filial BondsDB. 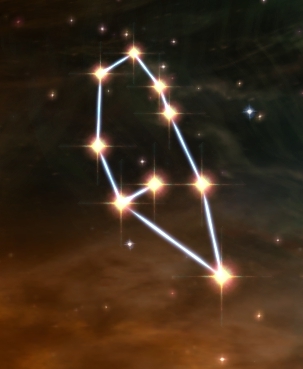 +5 Archery (and other combat skills) by selecting "The Path of Might" from the Oghma Infinium after completing the quest Discerning the Transmundane. +6 Archery in total from Angi for completing a series of archery challenges. There are four challenges; the first one gives three points and all the others one point each. Weapon skill gains are based on damage dealt against valid targets (those whose health can be damaged). You can increase your skill level fastest by choosing the best available ammunition and best available bow that has the highest DPS. If your Archery skill is over level 30, guards will occasionally say: "Favor the bow, eh? I'm a sword man myself..."
If you have a bow and arrows equipped, guards may also say "Keep your arrows in your quiver, archer". Despite being classified as a combat skill, Archery receives skill gain boosts from the Thief Stone rather than the Warrior Stone. This issue has been addressed by version 1.2 of the Unofficial Skyrim Patch; it is now boosted by the Warrior Stone perk. The movement speed with a drawn bow (shot ready) is reduced in comparison to Oblivion, making archers less mobile. A perk is available to compensate for this. Arrows will remain equipped (and appear on the back of your character accordingly) even if you have unequipped the bow. This will enable you to pin your bow of choice and melee weapon or spell of choice to your favorites menu, and swap between them on the fly, without having to re-equip your arrows. Arrows are not accurate to the center pointer. The arrow shoots slightly above the crosshair. Use the archery practice targets to see the exact dynamics for different ranges. Alternatively, if Dawnguard is installed. Arrows can be used as distractions. If you have not been spotted by an enemy, shooting an arrow will make them investigate the point of impact. Be aware, however, that after checking out where the arrow hit they may investigate where it was shot from. Make sure to either kill them quickly, distract them again, or move to safety. Archery is one of two skills which has a different console ID than the name, the other being Speech. The actual console ID for Archery is "marksman". For example, the console code for improving Archery is AdvancePCskill Marksman <#>. Having high skill in Block in conjunction with the Deadly Bash perk can be useful for an archer. At 0 block skill, bow bashing only does 1.1 damage, but at 100 block skill a bow bash does 5.5 damage. With Deadly Bash perk, the 5x damage multiplier brings the bash damage up to 27.5. Bow type does not affect the damage magnitude. Another perk exists in the Creation Kit but was removed from the game before release. It is called "Trick Shot", and would have been available at 80 Archery skill if the "Quick Shot" perk has already been unlocked. The description for Trick Shot is: "25% chance to disarm an opponent." You can give yourself the perk using the console command AddPerk 105f1a. It won't appear in your skills menu, but it does work. Using the Secret of Strength DB power will allow you to be able to use zoom ability gained from the Eagle Eye and Steady Hand perk, without using your stamina, for the duration of the power's effect. While drawing the bow from its starting point under the slow time effect of Steady Hand, the damage modifier of the bow will increase in real time if you release the block command simultaneously with the attack command. Thus, if you learn the maximum draw time in real time, this allows you to use Steady Hand while you draw and release the arrow "early," which deals full damage with full trajectory. Note that the bow will behave as intended if you release the arrow while still holding the block command. ? Bullseye's chance to activate is actually 16%. If you quickload while zooming with a bow, it will cause time in the loaded game to pass at the same rate as if the player were zooming. Zooming again turns it back to normal. ? Sometimes while nocking an arrow, the arrow may not appear. The perk Bullseye actually works by sending out an instant Paralyze spell which strikes the target when an arrow is fired from a bow rather than when the arrow strikes the target. The negative effect of this is that if the bow is fired from a large enough distance, the target will instantly become paralyzed and fall to the ground before the arrow reaches them, causing the arrow to miss the target it supposedly paralyzed. Occasionally the perk Ranger will not seem to function if you unlock it while crouching. Be sure to be in a standing position when unlocking this perk. The cinematic kill camera causes a wrong starting position for the bow/arrow. If the player is shooting from the rim of a ledge, the kill camera effect will start but then immediately end with the arrow striking the ledge even though a normal shot without kill camera would not be blocked. In close range with an enemy, right after firing an arrow that was fully drawn, the player can make a bash attack which is treated as a fully drawn arrow attack. This applies the paralysis effect, any enchantments on the bow and also raises the Archery skill, rather than the Block skill. Note that the player has approximately 0.5 seconds after releasing the arrow to perform the bash for the extra damage. The range of Archery is internally broken, stopping at what seems to be long range, where the arrow will still appear, but cannot hit any entities. Apply the changes to Skyrim.ini mentioned in the Notes section. If you press (RT then release, hold RT, tap X) for crossbows, it will completely ignore reload and shoot up to around 2 bolts a second. Occasionally, when you perform a sneak-attack cinematic kill shot while zooming in with the Eagle Eye perk, your Stamina will be completely drained after the cinematic finishes. Making the Archery skill legendary does not actually remove the Ranger or Quick Shot perk effects. If you tap the attack button after releasing an arrow, but before the bow returns to the rest position, the bow will draw an arrow to full draw and stop. Tapping the attack button again will release the arrow. Occasionally, an arrow that misses its target and falls into water will rest on the surface of the water as if it were a solid surface, rather than bobbing on top of the water or flowing downstream with the current. ? Saving and reloading the game will cause the arrow to behave normally. The in-game descriptions for Steady Hand ranks 1 and 2 say that zooming slows time by 25% and 50%, respectively, but the actual magnitudes are 50% and 75%. Mod Notes: Ranks 1 and 2 correspond to abilities PerkSteadyHandTimeSlowdown01 and PerkSteadyHandTimeSlowdown02, which decrease actor value BowSpeedBonus by 0.5 and 0.25, respectively. At rank 2, both abilities are in effect. BowSpeedBonus changes can be confirmed in-game on PC with console command "player.getav BowSpeedBonus". This bug entry merely notes the discrepancy and makes no claim as which set of magnitudes was intended. The German translations of Steady Hand incorrectly indicate that either half (level 1) or no (level 2) Stamina will be drained while using it. Esta página foi modificada pela última vez à(s) 17h42min de 15 de novembro de 2015.